We all want to play YouTube in the background while we browse some other application or when our phone is locked. But unfortunately, YouTube mobile app doesn’t allow that unless you are a YouTube Premium member. There are many songs and podcasts that you won’t find in any other streaming application and it can be quite frustrating when YouTube won’t allow you to listen to the audio in peace without having to constantly watch the video. In order to play YouTube Music in the background, you can either get a monthly subscription to YouTube Music which costs around $12 a month. Surprisingly there is no official way to play videos on YouTube in the background when the screen is locked or turned off. However, with YouTube Premium, you can watch videos in PIP mode while using some other applications. Or you can read this list to find some very good YouTube alternatives to play YouTube in the background on Android as well as on iOS. All the apps mentioned in our list can be used in non-rooted as well as non-jailbreak devices. Here’s a list of applications that work as a YouTube background app which allows you to play your favorite YouTube videos in the background while you go around doing other stuff. Floating Tube is a free Android application which as the name suggests will play your YouTube videos on a floating toolbar using the picture in picture mode. This app plays your video on a small screen which can be viewed over other apps. You will need to enable Display over other apps permission the first time you launch it. It’s a quite popular app with over a million downloads on the Play store at the time of writing this article. With Floating Tube app, you can play your favorite YouTube video and minimize it into a small insignificant floating toolbar. You can also change the size of the video by going to the settings menu and changing the preview size. After playing your favorite YouTube video inside the Floating Tube application, you can then minimize it and then open any other applications to chat with your friends and browse Instagram. The interface is also strikingly similar to the official YouTube app so you won’t face any problems adjusting with Floating Tube interface. Just search for the song and music video that you want to play and minimize the app. The video will start playing on a small toolbar that can be resized and moved as per your choice. The only annoying thing that I found was that the performance seemed a bit laggy and a large number of full-screen ads. However, you can make the in-app purchase to remove ads and support the developer. Price: Free, in-app purchases included. Familiar and easy to use UI. Movable and resizable video player. Lock feature to lock player on a screen. Sometimes it can be annoying while using important apps. New Pipe is a great application and a personal favorite, to run YouTube videos in the background. The only downside is that the app isn’t available on the play store or on the app store and you have to download it from F-droid which is only available for Android as of now. New Pipe is a highly recommended tool which allows you to browse YouTube videos and you won’t even notice any difference due to the similarity in the app layout. The trending tab is fetched directly from YouTube so you’ll always be updated on the latest trending videos without switching apps. There’s also a subscription feed where you’ll get videos from the channels you are subscribed to. You can also bookmark playlists and it will show it on the app. This feature is especially useful for people who want to bookmark playlists with the latest songs and listen to them on the go. To play YouTube video in background, Search for the video in New Pipe and press the Home button. Now the video will automatically start playing in the background and you can control the playback from the notification panel. There’s also a Popup mode which features a picture in picture feature similar to Floating Tube. The downside of New Pipe is, you cannot sync your Google account with this app and as a result, you cannot comment or like/dislike videos. New Pipe rarely experiences crashes and will run fine on most of the Android devices. And the best part is that New Pipe is completely ad-free but you can donate to the developer to support their work. Not available on the play store. Cannot comment, like or interact with videos. Brave browser is a normal web browser for mobiles to surf the internet which can also play YouTube videos in the background when the screen is turned off. It is available for both Android and iOS devices which is a positive sign for iOS users. In order to make Brave Browser play YouTube in the background, you need to open Brave Browser Settings– Site Settings – Media and enable Background video playback. Once you enable Background video playback, you are good to go for playing YouTube videos in background without making any additional changes in your device. To play the video, open YouTube website by typing https://www.youtube.com/ in the browser address bar and search for the video that you wish to listen and play in the background. You can now notice that the video will keep playing even if you minimize the Brace Browser and you’ll hear the audio running in the background. You can also control play and pause from the notification panel if you are on Android and in the control center if you are on an iOS device. The best thing about Brave browser is the built-in ad-blocker which is very efficient in blocking ads. It also blocks ads on YouTube which is a very good feature as you can listen to your favorite songs without any interruptions. Brave browser is a very trusted application that has over 10 million downloads with an average rating of 4.3. Works as a great browser. Not optimized to run YouTube specifically. Lack of native app feel. OG YouTube is another app that is not available on the play store and also not available for iOS devices. But it is a very good alternative to play YouTube in background when the screen is turned off. Using the notification panel on your Android device, you can control the video playback which comes handy when you need to pause, play or forward the video. The app also features the picture in picture effect where you can even watch the video on a small screen while you browse other apps. OG YouTube looks exactly like the original YouTube app with just two extra buttons added for background play and picture in picture mode. To install OG YouTube you need to download the APK file from the link given below and install it on your Android phone. For your first installation, OG YouTube will redirect you to download another app for it to function. You’ll be taken to a link from where you can download the additional app. OG YouTube is no longer maintained and won’t release any new updates due to some issues with YouTube’s terms of service. Also, make sure that your phone allows you to install apps from unknown sources while installing APK files. YouTube login available to import playlists. Easy to use with a variety of features. Not available on the play store and has to be downloaded externally. Free music for YouTube Android app allows you to play your favorite YouTube videos in a small pop-up window. The pop-up window stays on the screen while you browse any other app installed on your device. You can control the position of the pop-up video by dragging it anywhere on your screen. It also features a music player which can play audios from your lock screen. Free music for YouTube: Stream also allows you to sync your Facebook account so that it can save your music preferences. The app concentrates on the music aspect of YouTube with top charts available to know which song is trending right now in your region. You can even schedule the streaming according to your choice and can share songs at specific times. The app also lets you watch YouTube music videos in HD and also gives wonderful music recommendations for you to listen. Free music stream has over 10 million downloads on the Play Store and has a very good and consistent rating of 4.5. A wide variety of useful features for music lovers. Extensive control over creating playlists. The pop-up window can take quite some space on your screen. YMusic is an app that can easily play YouTube videos in background which can also be used as an offline music player for the songs on your phone. Therefore you can use YMusic just like any other music streaming apps on your mobile. You need to go to discover to find the home page and the trending tab to pick up on the latest songs filtered based on your location. At any point in time, if you wish to change your location, you can do it easily from YMusic Settings. The key difference is that it only plays the audio part and not the video. It just displays the thumbnail of the video. This can help save data if you are on a strict data plan. The trending tab works well and features all the latest songs and is always up to date. YMusic isn’t available on the Play store but can be downloaded from XDA Labs. Unfortunately, it’s also not available for iOS devices. Saves bandwidth and works well even on slow connections. All the necessary features are included. Not available on the Play store and for iOS devices. Not suitable for watching music videos. Apple users can use the built-in Safari browser in your iPhone or your iPad to play YouTube in the background. 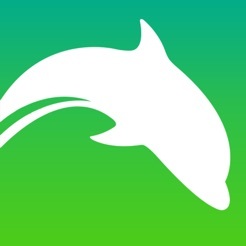 Safari is a trusted and recommended browser for iOS users for all their browsing needs. This can also be your go-to app to listen to music from YouTube with just a few simple tweaks. You need to follow some simple steps to play YouTube in the background on your iOS device. Go to the YouTube website in the Safari browser and reload it in the desktop mode by clicking on the Share icon and by choosing Request Desktop Site. Search and play the song that you wish to listen and then minimize the Safari browser by pressing the Home button or swiping up the screen from the bottom. The song will start playing in the background and you can control the playback and pause functions directly from the Control Center. Read here for more details on how to play YouTube in the background on iOS using Safari. Comes built-in on every iOS device. Easy to use and very stable. You’ll have no option to skip ads. Slightly complicated steps than other apps. You can also use mainstream browsers like Google Chrome, Firefox, and Dolphin in your Android and iOS devices to play YouTube in the background. These browsers come from trusted developers with over 100 million downloads and have been around for a lot of years. So you can trust their usability blindly without a second thought. These apps are actually developed to browse the internet but with some simple tricks, you can listen to your favorite music even when your screen is turned off. The first step that you need to do is to request the Desktop version of YouTube. After enabling the desktop site, you can minimize the app for the music to play in the background. You should consider reading this step by step in-depth guide on how to use these browsers to play your favorite YouTube video even when your screen is turned off. Most of the apps mentioned are available on external sites like XDA Labs and F-Droid. Google for obvious reasons doesn’t allow apps which play YouTube music and videos in the background to reside on the play store. So when you are installing APK files directly from third-party sources other than Google Play Store, you need to allow your Android phone to enable install applications from unknown sources option in your phone Security Settings. But once you download the .apk and install it on your device, you no longer need to worry about anything. Tell us in the comment section which app from our list allowed you to play YouTube in background easily.